The Harris County Young Democrats (HCYD) Is an Young Democratic organization chartered through the Texas Young Democrats. 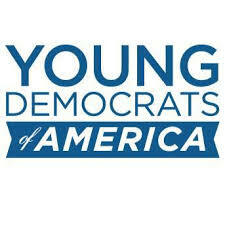 Our purpose to harnessing the collective voting strength of young people to help bring about a new political era. We are dedicated to the idea that young people have the most to gain and lose in the political process and that only through strong and effective participation can we empower ourselves to fashion our own destiny.